J. Coco has a reputation as one of the best restaurants in Omaha. 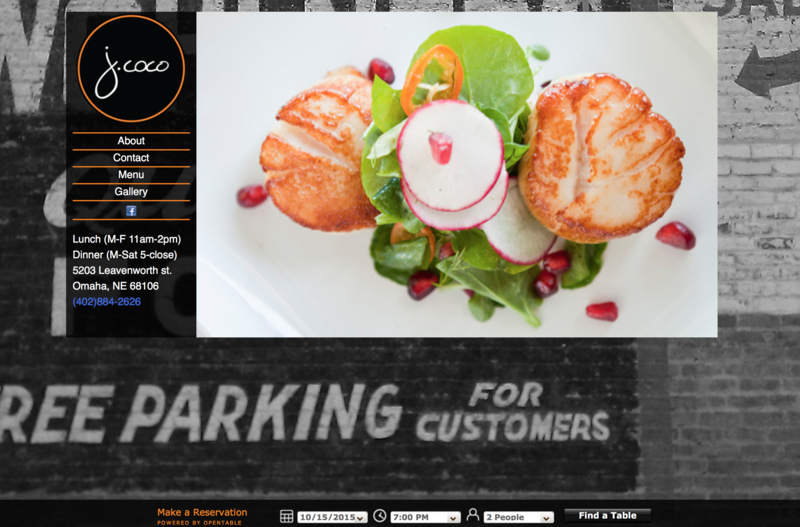 3 time Best of Omaha winner Jenifer Coco asked us to build a website that was not only nice looking, but easy to maintain. Rebuilt with mobile looks and functionality in mind. This site not only looks good but runs well. Build on WordPress this site is easy for clients to edit and update and still holds a great look. 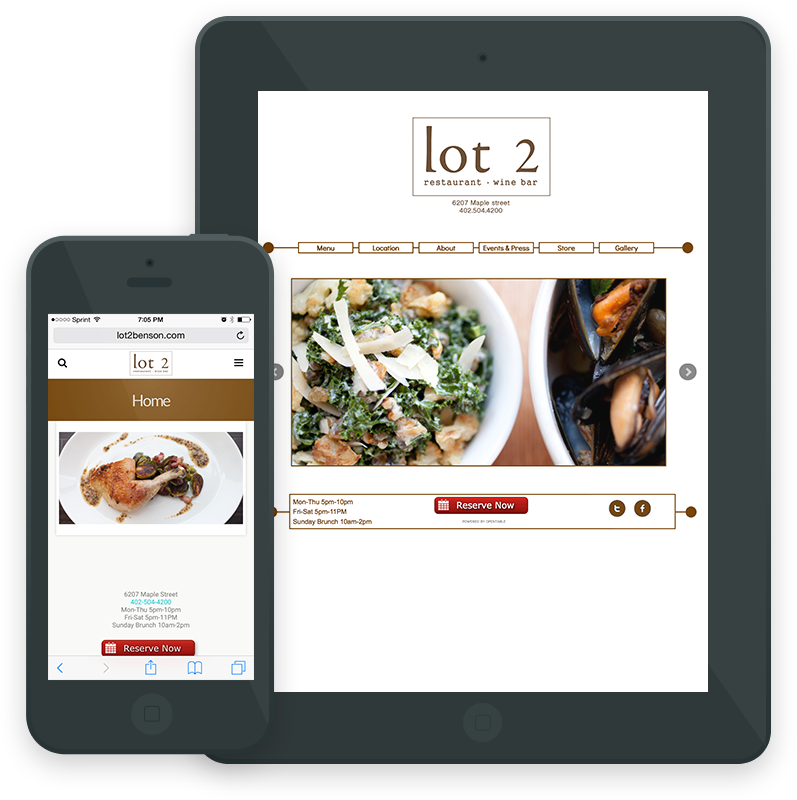 With the growing popularity of tablets we wanted to make sure all visitors could access the features of the site so we made sure you can still book a reservation while on tablet.